A chartered fellow of the CIPD, Julie has worked in the Welsh public sector for over 35 years. She has enjoyed a varied career spanning a wide range of social policy development, OD and HR roles. In 2013, Julie became the National Workforce & Organisational Development Director for NHS Wales, a role that she held until April 2018 when she joined HEIW. 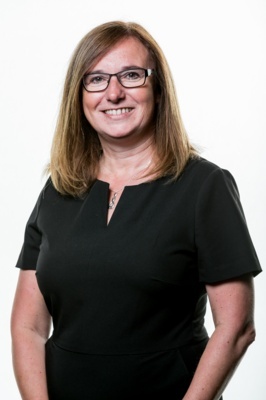 During her tenure, she oversaw the development of the first national ‘Primary Care Workforce Plan for Wales’ and the innovative NHS Wales recruitment campaign ‘This is Wales. TrainWorkLive’, aimed at recruiting more trainees, GPs and health professionals into Wales.